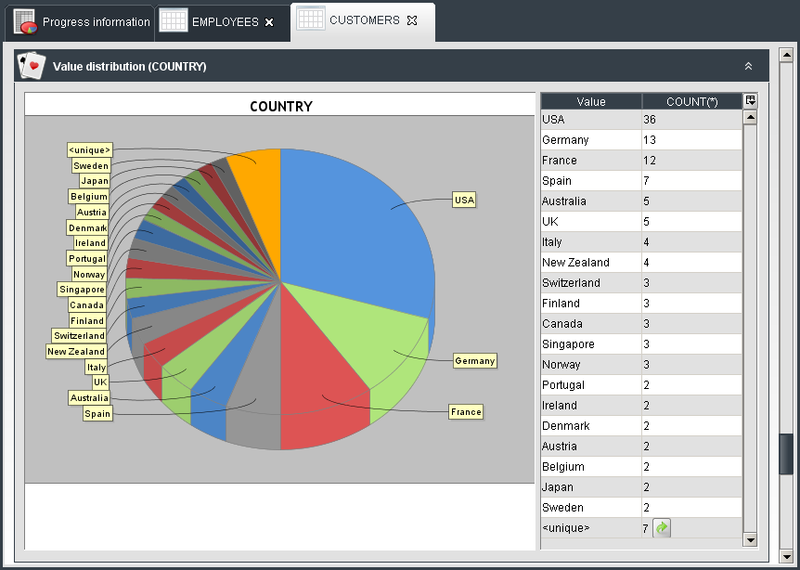 One of the important new features of DataCleaner 2 will be a much richer reporting module than the old one. In DataCleaner 2 the result of an analysis is not limited to the crosstabular view that a lot of you know from DataCleaner 1.x. In this blog post I will provide you with a preview of some of the exciting reports that have been added lately. 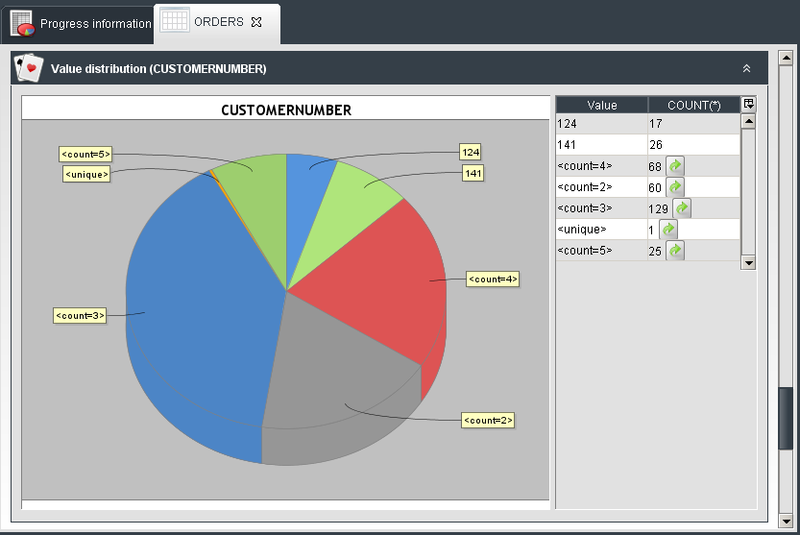 As you can see, even though there's a very high amount of customer numbers we are grouping them together by frequency. This is a principle that is actually already known from the <unique> group, except that we now also apply it to further frequencies: <group=2>, <group=3> etc. Notice also the green arrows in the table to the right. Using this button (or by clicking the slices of the pie-chart) you will be able to drill to detail to view the actual values that make up a given group. The big news here is of course that this kind of result would be practically impossible to display in a crosstabular result of DataCleaner 1.x - which is also why DataCleaner 1.x doesn't have this feature. 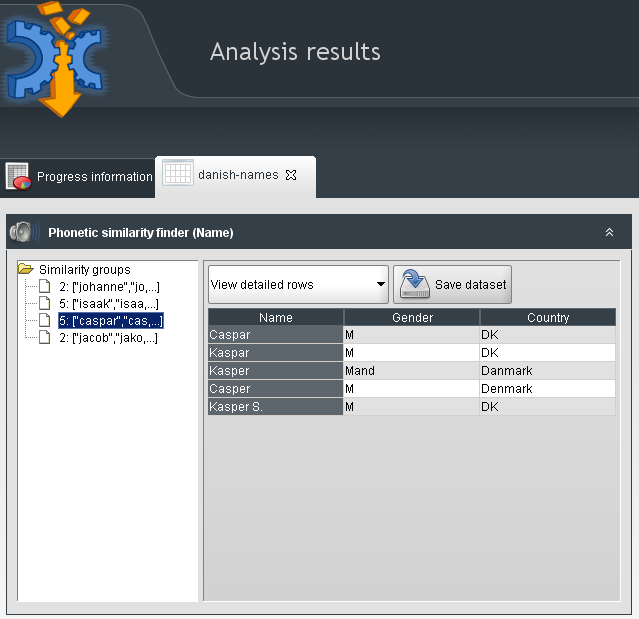 I hope that my message with this is clear: DataCleaner 2 will not only be a substantial improvement to the existing data profiling tool, but it will also open up a lot of new doors for more interactive (and interesting) analyses. For every kind of business it needs to be updated by using new software solutions. Some applications could be developed by outsource company that provides software development for business companies.